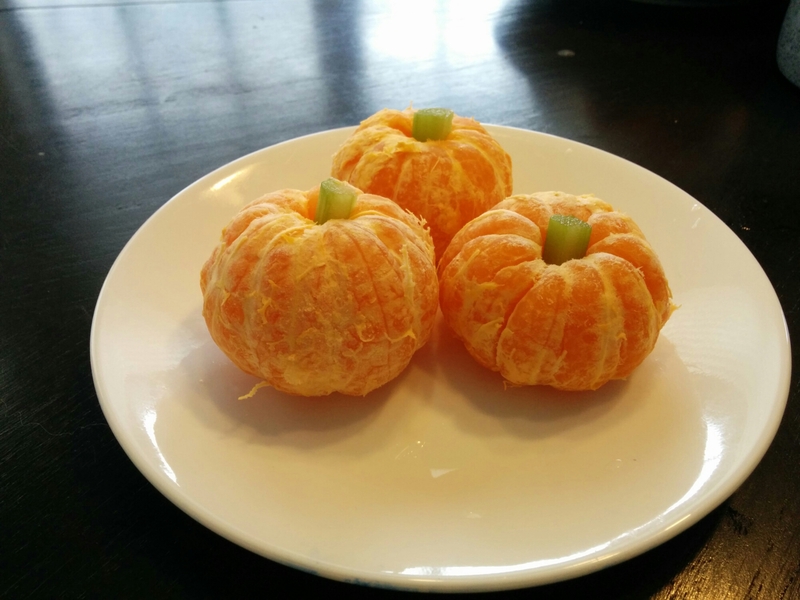 Last week, a coworker showed off some little pumpkins her kids had made using cuties and some ghosts made of bananas. Although I’m not usually the crafty/Pinteresty type, I found these charming and was sort of irrationally excited to make the pumpkins. I don’t really like eating citrus fruit, and I detest celery (which I used for the stalks), but I got a kick out of making these.